Food insecurity refers to the USDA’s measure of lack of regular access to nutritional food for an active and healthy life. The food insecurity rate in Crawford County is 14.2% of the total population, and the child food insecurity rate is 21.0%. Last year, Dare to Care distributed enough food to provide 375,833 meals to Crawford County families in need. Of that, 149,000 pounds were fresh produce, which was distributed for free. 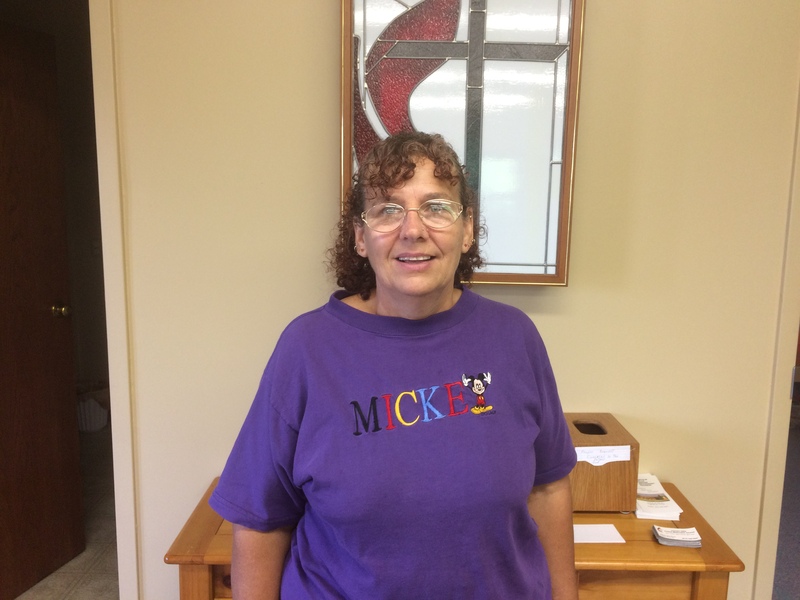 Passing out food and talking to familiar faces at the Dare to Care food pantry at Lincoln Hills United Methodist Church was something Arline looked forward to for years as a volunteer, every time the doors were opened. She never dreamed she would one day be standing on the other side of the table, waiting for her own box of food, just to get by. “I didn’t think that would be me,” Arline said humbly, after her 42-year marriage suddenly dissolved and she moved into a trailer on her sister’s property. Receiving food from Dare to Care helps Arline to plan and prepare meals that will last several weeks. She has also gained a great deal of support from the friends and helpful staff she encounters there each time. “Dare to Care has been a big help to me. They meet individual needs. The food is good and clean, and if they know you need help they give it and I really appreciate it,” said Arline, who is continually rebuilding with the help of Dare to Care.